Considered one of the greatest blues clubs in the world, Buddy Guy’s Legends has built its reputation around some of the best blues musicians the genre has ever known. Attracting the likes of B.B. King, Stevie Ray Vaughan, Willie Dixon and more, Buddy Guy’s Legends has quickly become the premier blues spot in Chicago. 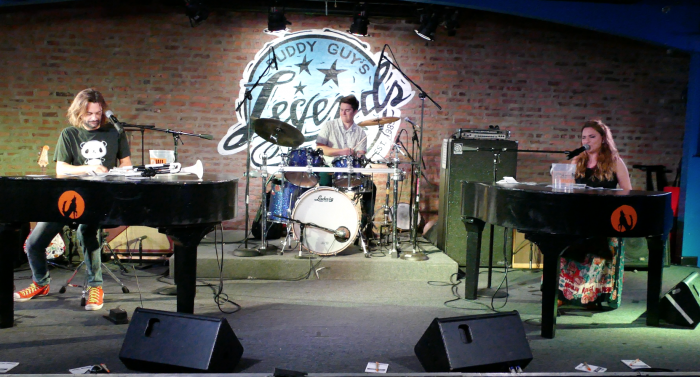 The doors at Buddy Guy’s Legends opened back in June of 1989, and the club has been building a massive following since. Guests at Buddy Guy’s Legends can expect amazing shows and excellent, Louisiana-style soul food. Buddy Guy’s Legends is also an excellent venue for private events. This authentic, stunning blues club can be rented out for parties of all sizes. Whether it’s 30 to 40 people or as many as 600, Buddy Guy’s Legends can accommodate your group and provide your guests with a unique experience they will remember for years to come!